← Forsooth, just another ho-hum day at WordPress for the Bard of Avon….. Finally! A chance to use those pictures I didn’t realize I was taking. 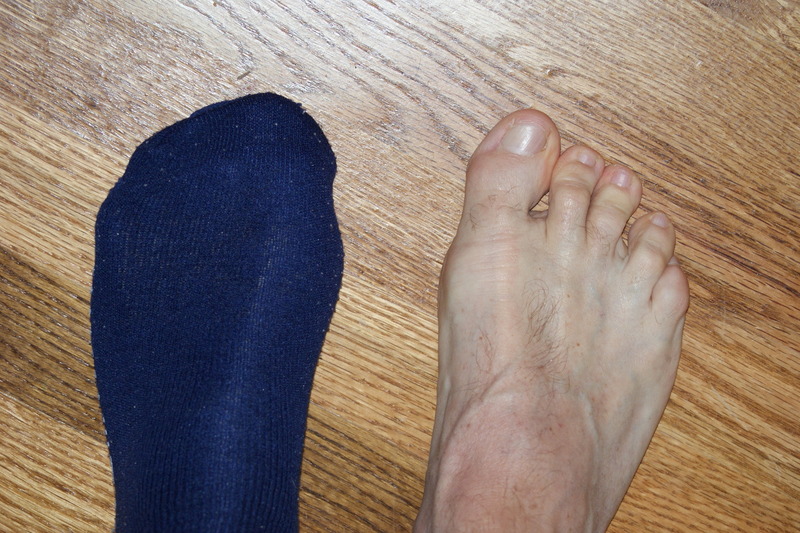 This entry was posted in Misc and tagged missing socks, Weekly photo challenge. Bookmark the permalink. I think I have the match to that sock, Al. I found it in my dryer. Thanks. I’ll pick it up next Saturday. Nice floor – that is what you were taking a photo of, right!? Can’t wait for the next photo of the inside of your pocket! Greetings Al, I am here at the behest of my niece to sus you out! Sus is short for “suspect” or “suspicious”, so my mission is to check out your game? Are you game to play? That foot seem corn and callous free, so you must take care of your feet. A man who takes care of his tootsies will take care or those around him! As to mismatched socks… I was saying to a gentleman in Channai only a few hours ago, that the solution was to purchase two dozen pairs of socks in one colour, as my baby brother does (Barbara’s uncle), and that way there is no sorting or matching. When the bundle becomes light, it is time to restock. Hi Grannymar. I have followed your many comments to Barbara with interest. It’s comforting that there is someone so wise as you there to keep an eye on her and keep her on the straight and narrow path. She tells me I’m a lot like her dad (who, I assume, is also a solid citizen like myself). I will turn 70 in June. We’ve had some fun with the comparisons. Nice to hear from you too and we would also like to add you to our visiting list if we are able to make our trip to “the isles” in 2014. Are you in still in Ireland? I’ve never been to Ireland proper (just Northern Ireland many, many years ago) so hope to include that as well. Thanks for visiting and please tell Barbara that I passed the “sus” test with sterling results (even if you have to fabricate some). Have a great day! Al, You may well have similarities to my eldest brother, but each time I see your avatar, it reminds me of my late husband. I wonder if Barbara would agree? I have been keeping a kindly eye on my little pet lamb since she was born, and am proud of all she has done. I live in Ireland ‘proper’ – to me the whole island is Ireland. For the last thirty six years I have lived in the part ruled by London eg Northern Ireland. County Antrim, to be precise, it is home to the Giants Causeway and the wonderful north coast. I have had bloggers from California to Pennsylvania and many places in between plus half of India, wanting to visit, If you all land up at the same time we will be like a tin of sardines! She is referring to an avatar she dared me into using. It scared away dozens of my followers thanks to her! Interesting. I had never heard of Giant’s Causeway, but I googled it. It looks fascinating! We visited Belfast when I was in the Navy back in 1966. Of course then, things were quite touchy and we were not allowed to go ashore in uniform. There were also several places that were off limits to us due to the ongoing conflict. So glad that is now history. I’ve enjoyed the repartee with Barbara, she has quite a sense of humor (you have to to be able to deal with the likes of me) and is a challenge as she is quite smart as well. I have to look up a lot of things she blogs about so I have become somewhat more educated than before. Wonderful to have “met” you. I tried to follow your blog but I can’t seem to find a place to sign up. Is that intentional? Al, Way down at the bottom of my side bar under Meta there is an Entries RSS and a Comments RSS to click on. MY template is rather old and I think (read hope) someone is working on an update in their spare time. By American terms the Giant’s Causeway is rather small it would be lost in the Grand Canyon, but we are proud of it. County Antrim is a lovely county, but then each of the 32 counties in Ireland has treasures for the visitor. You mention the ‘conflict’ being in the past…. I wish! Unfortunately there are still rumblings, but most of it is not advertised. OK, thanks. I will head over there to get signed up. Look forward to seeing you more in the blogosphere! No question about it, I married her for her feet. Even your feet look like my dads! I’m telling you, we were separated at birth! Please have him send me a swatch of DNA. Let’s settle this once and for all. Better still, I’m sending his sister (grannymar) to sus you out…..
“sus” you out? That’s either a typo or another Brit expression I don’t know about (and there are many, but I love them all) Translation please. Well, I’ll be darned, if you’re not right. Actually, I have nothing but mismatches. My best pair is a black and an argyle. LOL Perfect! Was that the only sock that returned from the laundry? Thanks, Jane. Sorry to be walking around half naked though…..
Oh Al, now that’s killed the fantasy that you were only wearing one sock!